The City of Angels attracts some of the biggest stars in the world to perform at some of the most iconic arenas Hollywood has to offer, such as (insert links all places) the Greek Theater and the Hollywood Bowl. Every year Los Angeles also plays host to large concerts, specials events and award ceremonies at the Staples Center, The Forum, The Honda Center. When Taylor Swift, Drake or the Red Hot Chili Peppers are in town, you know it’s going to be a wild night in LA! First, secure your concert or tickets, next call the Party Bus Group to reserve the perfect party bus for the event. On the night, just sit back listen to your favorite songs as you ride in style on board one of our fully loaded Party Buses, with wrap around leather seating, premium sound systems, state of the art lighting, flat screen TV’s and multiple bar areas! Whether you’re bringing 15 or 50 friends along for the ride, the Party Bus Group has a luxury limo bus that will make your Los Angeles concert experience an awesome one. 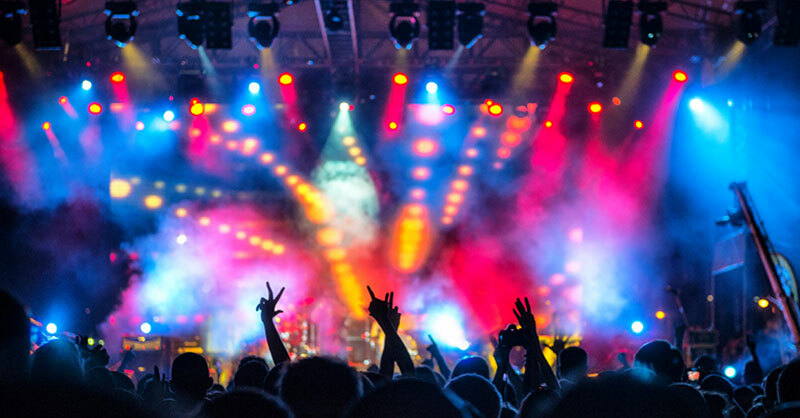 We offer unrivaled luxury limousine and party bus transportation to and from all of LA’s world class arenas and our new fleet of vehicles can make any live music lover’s dream come true. Visit our home page or click below!